Harare (AFP) - Zimbabwean President Emmerson Mnangagwa Tuesday launched a space agency, hailing it as a "milestone" as he campaigns ahead of elections at the end of the month. The Zimbabwe National Geospatial and Space Agency will deploy earth observation satellites, global navigation satellite systems, unmanned aerial vehicles, geospatial and space technologies for better farming, mineral exploration, wildlife conservation, infrastructure management and disease surveillance, he said in Harare. "This initiative is expected to enhance Zimbabwe's capabilities in global discourses on generation, access, use and regulation of the application of space technology and innovation for sustainable development." 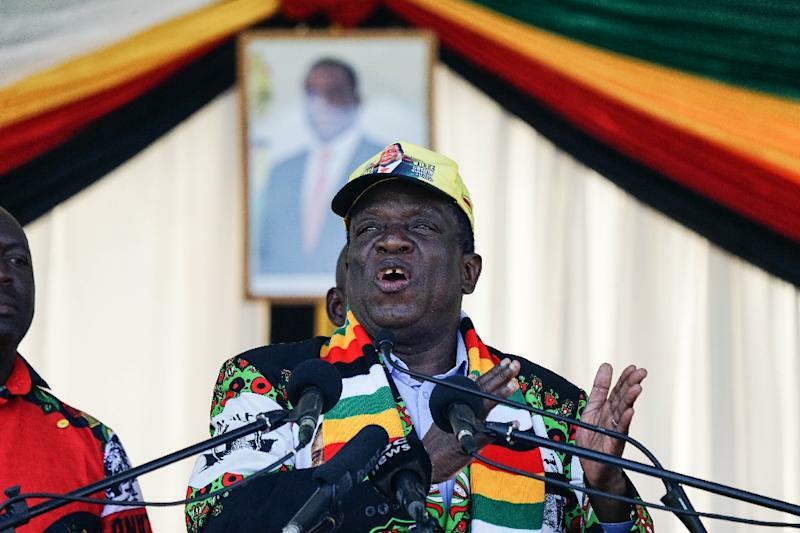 Mnangagwa, who took over from ousted long-time ruler Robert Mugabe in November, has vowed to tackle mass unemployment, which hovers above 80 percent, by luring back foreign investment and investing in infrastructure. He has pledged to develop Zimbabwe -- wrecked under decades of his predecessor's rule - into a middle-income economy by 2030. Zimbabwe's economy faces formidable challenges after Mugabe oversaw land seizures that saw agricultural output crash and the national currency abandoned after hyperinflation wiped out savings. Mnangagwa, 75, faces opposition Movement for Democratic Change's young leader Nelson Chamisa in the presidential contest.